The Wine Spectator Top 100 wines of 2008 was revealed on Monday and the searching and buying has begun in earnest. deVine has secured many wines from this much anticipated list: See the available Top 100 Wines here.. Some of the wines on this list are extremely limited and will be gone within days, so please visit the store or order online asap to avoid disappointment. We are holding back eight wines in anticipation to the two Wine Spectator Top 100 tastings we have scheduled for Jan 15 and Jan 17/2009. 104th Street continues to grow and strengthen its hold as the driving force that is attracting more and more people to the downtown core. 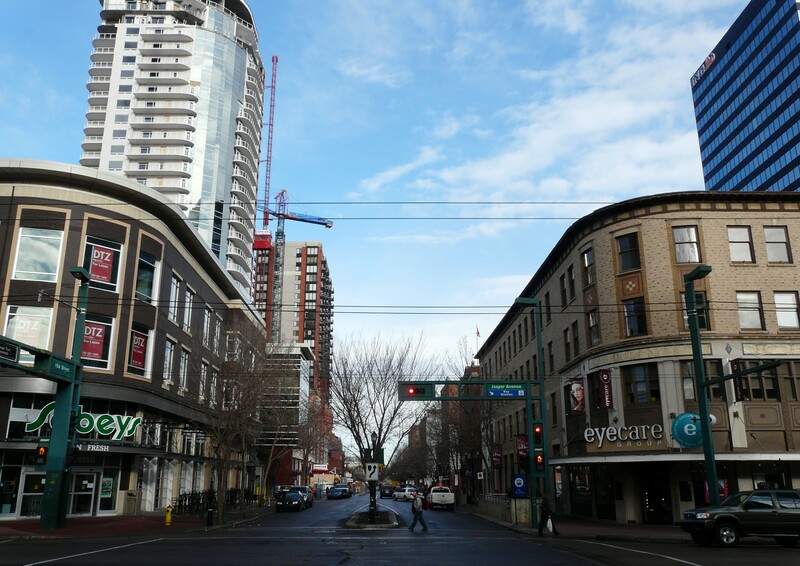 From the City Market to the arrival of tenants into Icon 1, and the City and mayor of Edmonton striking up a ‘104 Street Vision Steering Committee’ to look into further improving 104th Street, the excitement is catching on. As community members, we were thrilled to read in the Travel Section of the national edition of the Globe and Mail on November 1, a writeup featuring several businesses on 104th Street by Katherine O’Neill: Read the Globe & Mail Article here..